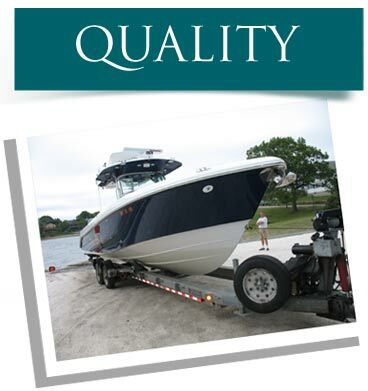 HOSTAR designs and builds state-of-the-art hydraulic trailers for today's marina's, boatyards, haulers, restorers, dealers, and manufacturers. Our hydraulic trailers solve the problems of limited storage space, high transporting and handling costs, unwieldy cradles and time-consuming loading and launching procedures. A completely open center, simple controls, and hydraulically driven arms and frame are the keys to their timesaving and laborsaving capabilities. A HOSTAR hydraulic trailer requires only one operator to handle ramp launching and haulout, loading and off-loading, transporting and storing. Committed to providing hydraulic trailers and allied equipment of the highest quality, we have earned our reputation for incomparable value and superior customer service. We equip our trailers with the finest components, U.S. made wherever possible, and out welders and mechanics are exceptional craftsmen who take great pride in their work. We are known for our willingness to adapt designs to fit special customer requirements which often results in interesting and innovative improvements. Our customers, who use their trailers on a daily basis, have become our best salesmen! We invite you to talk with some of them and to call us or visit our plant here in Massachusetts. • Our famous double-locking check valves on all cylinders to lock cylinders in both directions in event of hydraulic hose failure. • QUIET, self-contained electrically powered hydraulic system, continuously charged by tow vehicle; non-polluting. • Front safety mast (bow pulpits clear) or gooseneck with tie-off cleat; tie-down handles along full length of trailer; parking stands. 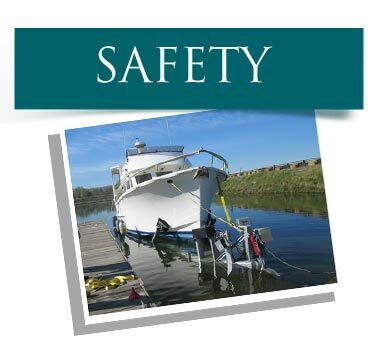 • Correct boat support on beams; hull protection on hydraulic arms. • Brakes on all wheels. Breakaway switch. • D.O.T. approved submersible lighting system with backup lights. 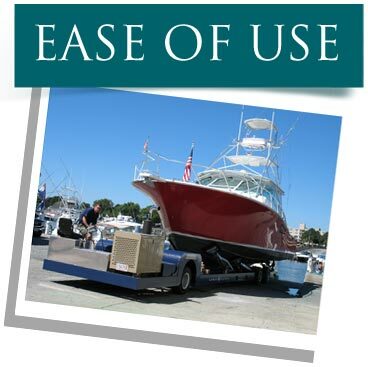 • Flexible "forgiving" fenders to protect boat hull. • Air suspension for perfect hull protection, ultra-smooth ride. • Locked cross beams for precise frame alignment/tracking on highway. • Swing-out ratchet adjustable tailgate (HPT/GS), slide-through beams (HST/HSTY/HHT) enable fast and easy gunnel-to-gunnel placement. • Rolling V-pad and sailboat keel cross beams (GS) provide infinite positioning of boat, make launching and haul out extra easy. • Adjustable frame height with air-ride or hydraulic suspension shortens loading/off-loading time, enables extra low ramp use. • Multi-positional cross beams allow easy carrying, off-loading and setting for proper drainage. • Extendable hydraulic arms with offset/inset gimbaled pads cushion and protect all hull designs, enable one-man loading/off-loading. • Pivoting rear arms (GS) accommodate all shafts and hull widths. • Expanded metal storage basket, tie-down handles on frame and mast, quick-lock T-pins on beams give added convenience and speed. • Stabilizer screw pads (HPT/GS) can be added/moved/removed with boat on the trailer, mounted on inside or outside of frame (HPT series). • Multi-pass MIG welded frame, parts - admired as finest in industry. • Sealed and pressure-tested frame on painted trailers, preventing any interior corrosion. Open-ended frame on galvanized trailers; hot-dipped galvanized inside/ outside of frame and all parts. • Built-in air storage tank with pressure gauge - air-ride trailers. • Fully enclosed and protected hydraulic, electric, air lines. • Grease fittings on all joints/pivots; hermetically sealed fittings. • Replaceable fiberglass suspension bushings with grease fittings. • Dexter E-Z Lube or oil bath submersible axles for waterproof use. • Prince cylinders of welded construction with cast iron and O ring seals, powered in both directions, stainless cylinder pivot pins. • Cylinder lock valves connected by stainless tubing/nuts/ferrules. • Optional stainless suspension pivots, all hardware and T-pins. • 3 year warranty on frame, excellent warranties on all components. • Parts readily available. Overnight shipping. • Complete service manual and operating instructions. • Unparalleled customer support for lifetime. • Customer references (more than 1,100 world-wide).